Build on classical elements to achieve a truly modern look. 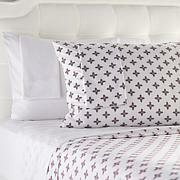 This embossed sheet set plays as well in chic, new spaces as it does in a traditional bedroom. Fabric will be easy care - just what I wanted for guest bed. Adore the herringbone finish - a total surprise. When I finally use, will report back. 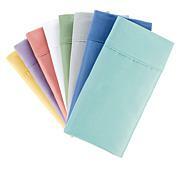 The Concierge Collection Microfiber sheet set is very pretty and soft. I did find it warmer than other sheets I had. However, it was wonderful to have this winter! 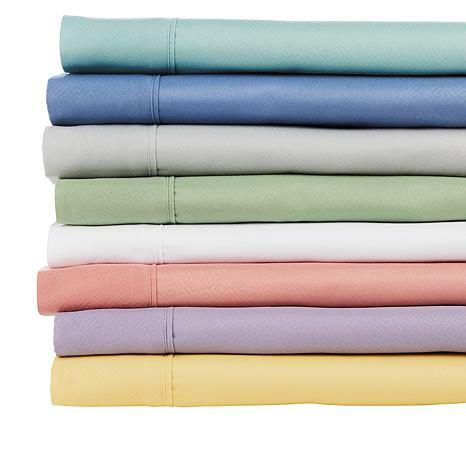 I love these sheets! I purchased the yellow set which is so rich and deep in color. 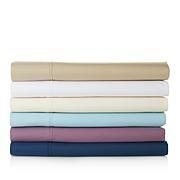 These sheets are deep pockets and fit beautifully. I immediately ordered a second set for another bed. Love the feel of these sheets!